What is the purpose of Meditating? i remember the moment i realised that the darkroom retreat is not a one-off thing. i thought … of course. of course, why didn’t i realise that. perhaps i was so used to thinking of retreats as something fashionable. usually expensive. difficult to find time for …. 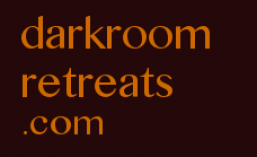 darkroom is not a fashionable thing to do (there are thousands around the world), to say to your friends, family etc that you have done it eg “i am going to a retreat in an exotic location “…..
rather, once one has done a retreat, thereafter one sleeps in a darkroom every night. so you have to darken your own bedroom and do other stuff such as provide a reliable constant air source once you have blocked all light, you have also block airflow. you make your own bedroom dark – a darkroom. and every now and again, you will want to do an increasingly longer retreat … starting with 12 hrs, on to 4 days, 8 days, 20 days, 40 days or long enough to fully restore. Sun 20:00 – in. Cover window. Lights off, in bed NO later than 20:00. Otherwise, cancel and begin again the next night. 11:30 – wake up. Before seeing light, look for and fix light leaks from inside, and your supporter from outside. 12:00 – out, after maximum of 16 hours in, before going past point of no return in the cycle (dangerous). Have your light blocking tools at the ready: Masking tape, electrical tape, some black fleece strips and patches, scissors, and skewer and table knife for stuffing fleece in cracks. This entry was posted in 1 my darkroom retreat and tagged darkroom retreat. Bookmark the permalink. How Is Early Childhood Trauma Unique ? Arno Pienaar "imagine if every being on the planet decided to sit alone in a dark room for several days . . being and listening . . "
"dark retreat" in greater Seattle area? 14 days dark retreat ? any suitable cave near chiang mai? anyone experience a d.r. retreat? darkness hermitage: can you explain this? where can i do a retreat in india? where to retreat for 3 months to 1 year? Dr Rangana Rupavi Choudhuri Dark Retreater?